BERLIN (Reuters) -- Volkswagen's bid to increase its stake in a lucrative joint venture with Chinese partner FAW has stalled just as the German automaker is stepping up expansion in its biggest market, company sources said. The setback to VW's ambitions in China, where it sells nearly 40 percent of its vehicles, comes as Beijing seeks to promote national champions that can compete globally and appears to be putting overseas companies under increasing scrutiny. VW's efforts to raise its 40-percent holding in FAW-Volkswagen Automotive to about 50 percent have stalled after more than a year of talks, two sources at the German company told Reuters on condition of anonymity due to the confidential nature of the matter. "The door (leading to a higher stake) appears to be closed at the moment," one of the sources said. VW's efforts to increase its stake would continue, they said. VW holds a 50-percent stake in its second Chinese joint venture, with SAIC Motor Corp. Expanding its holding in the project with FAW would earn it a greater share of both ventures' growing profits which have more than doubled since 2010 to 4.3 billion euros ($5.34 billion) in 2013. VW and the FAW-VW joint venture company declined to comment. FAW could not immediately be reached for comment. There is anecdotal evidence from a variety of companies operating in China that demands from local partners, policymakers, and regulators are getting more rigorous. 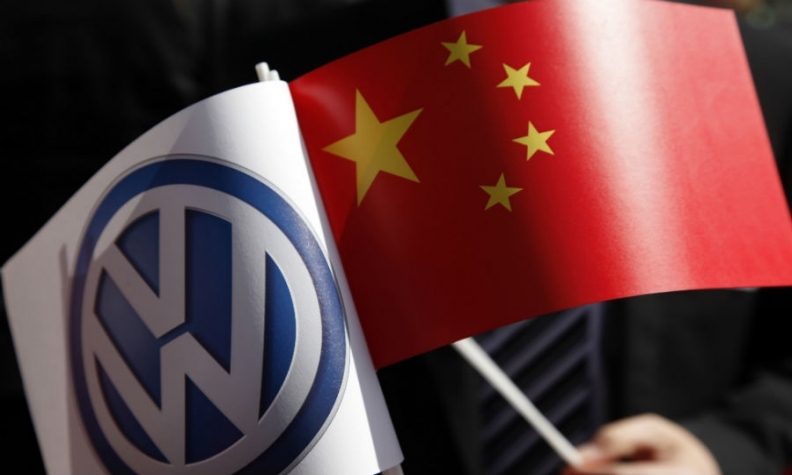 In return for winning a 25-year extension of the partnership with FAW last month -- from 2016 to 2041 -- VW had to agree to develop more cars in China and to use latest technologies to foster China's push for electric and hybrid vehicles, sources said. VW conducts most of its R&D work at its German headquarters and is reluctant to share valuable results with other parties, given the risk of counterfeiting. VW only won Chinese approval to expand its production footprint in prosperous eastern cities last year by opening a plant in Xinjiang, an economically marginalized province in the far west that is rocked by ethnic violence, one source said. The auto sector has been under scrutiny, with Chinese antitrust authorities pressuring VW's Audi luxury division and the China sales unit of Fiat Chrysler among several carmakers to cut prices. Other industries, including pharmaceuticals and electronics, have also come under the spotlight as China makes greater efforts to enforce a 2008 anti-monopoly law. The probes have left foreign businesses wary of China's evolving laws and regulations, leading some to hold off on planned investments. "Many companies have adopted a waiting attitude because it's not clear at the moment which way the structural reforms are exactly going to take," Hanna Mueller, a senior manager at Germany's BDI industry federation, told Reuters. "This (waiting attitude) is more noticeable than years ago."